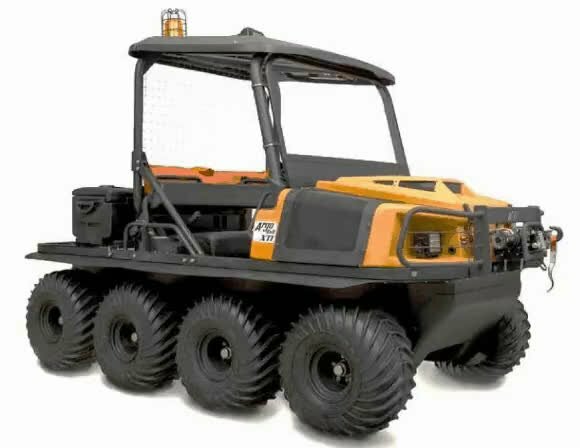 The Conquest 8x8 Lineman XTi, is a super amphibious vehicle, with a great power supplied by your motorcycle, automatic electric. In addition, it has been automatically improved so that it always works at its maximum power, in water or terrain. It can with an approximate load of 100 kilos, to tow what you need, it is very comfortable and easy to maneobrar. This vehicle is a Beast!!! With 8 tires, this vehicle can be driven on any terrain, whether forest, desert or even on water...This is Awesome. well done. Super cool vehicle to control automtically, it worked amazingly for peoples whose interested. your hunt is valuable. This is a proper boys toy!! I don't care about its practicalities or load functions or its real-world application, It just looks like a whole load of pure adulterated fun!! If Conquest want to send me one for a trial, I would write wonderful reviews for them for the rest of my life!! You can't put a price on fun!